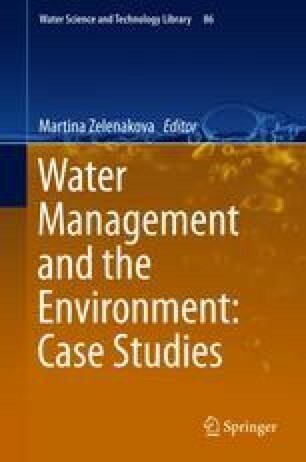 The following chapter discusses the use of non-renewable mineral resources occurring in dam reservoir basins. The work presents an assessment of construction of hydrotechnical objects in terms of mineral deposits management, taking into consideration construction of flood control basins with associated mineral exploitation, exploitation of minerals associated with maintaining retention of water reservoirs and limited access to mineral deposits as a result of flooding of the reservoir basin. After analysis of mineral management in several selected flood protection reservoirs in Poland: Racibórz Dolny, Świnna Poręba, Nysa and Tresna, it can be stated that construction of a hydrotechnical object with associated mineral exploitation seems to be the most rational solution considering sustainable development and protection of non-renewable resources. The concept of spatial–technical solution based on combination of a step-by-step construction of a reservoir with successive exploitation of natural aggregates deposited in the basin of the Racibórz Dolny dry polder, will increase the capacity of the reservoir, reduce the costs of reclamation of the post-mining areas and allow further use of agricultural and forest land on its shore area. The mineral resources management should be carried out with the emphasis on the most complete extraction of minerals, which is essential in the case of planned flood protection reservoirs, as their basins often contain minerals that can be used as building materials. The study was supported by AGH 11.11.140.626—Economic geology analyses and environmental management.